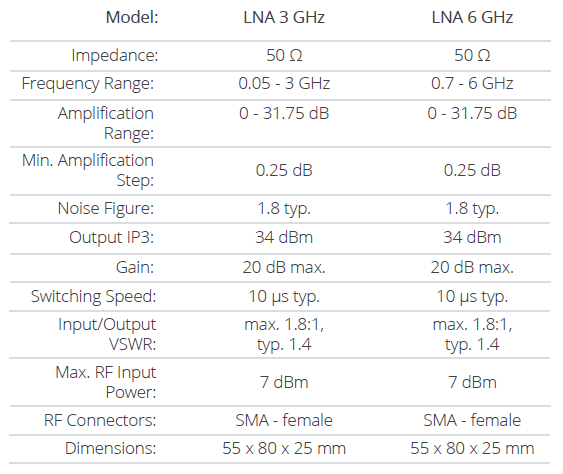 USB RF Low Noise Amplifier is a series of USB powered low noise amplifiers (LNA) with frequency range up to 3 GHz or 6 GHz (depends on model). Amplification can be controlled through keypad and LED display or computer application. Gain level is set by digital attenuator. Robust aluminum enclosure allows on-site use.